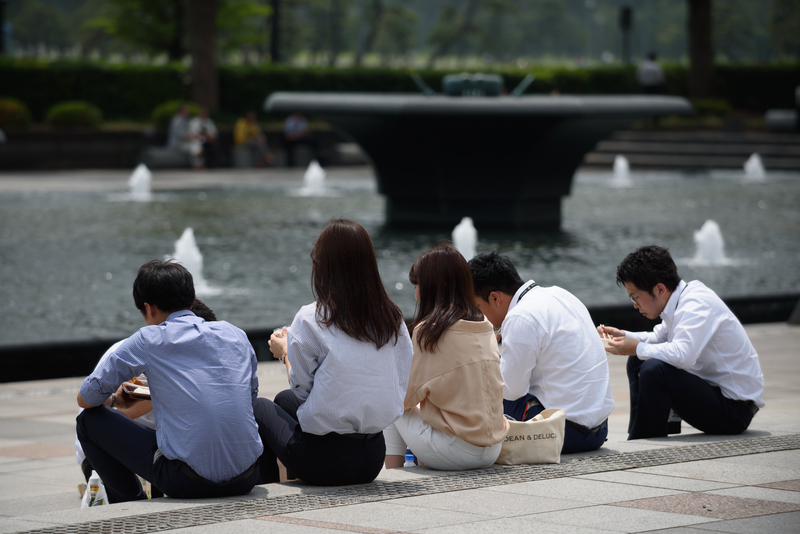 Japanese workers devoting themselves to working massively long hours for their employers might be becoming a thing of the past. Nearly half of newly employed people said they would leave the office when their work was done even if their superiors or colleagues were working overtime, according to a survey released Monday. 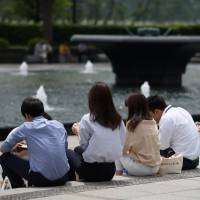 In the survey conducted jointly by the Japan Productivity Center and the Junior Executive Council of Japan on 1,882 workers participating in training sessions in March and April, 48.7 percent of participants responded positively to the notion of leaving the office when their work was done, up 9.9 percent from a year before. According to the survey, 42.6 percent — a record high percentage — of the respondents also said they work in order to lead happy lives, while the ratio of people who said they work to test their abilities continued to decline, marking a record low of 10.9 percent. Those who work to contribute to society dropped to 9.2 percent. The percentage of people who said they would choose work over a date if they were told to work overtime was 71 percent, down nearly 10 percentage points from two years earlier. “The results show concern over long working hours amid news of so-called black companies” with abusive employment practices, an official involved with the survey said. At the same time, the official said there is a growing trend among newly employed workers to place more focus on their private lives. According to the survey, 30.8 percent of the respondents said they do not want to associate with their superiors or colleagues outside working hours, up 10.1 percentage points from the previous year. A record high of 29.3 percent responded negatively when asked whether they believed they should willingly take on challenges. The percentage of people who said they regard work as a means to earn money and not something they enjoyed came to a record high of 39.1 percent, up 3 percentage points from a year earlier. Those who said they would not mind making lower incomes if the job was interesting came to a record low of 46.5 percent, down 2.7 percentage points.